2015 was a funny year for Games Workshop fans, especially those of us with fond memories of the Games Workshop of the Old World. In fact, it wasn't just funny, it was pretty damned exciting; and when I think back to the most important events in gaming from that year, it's all the Games Workshop stuff that springs to mind. 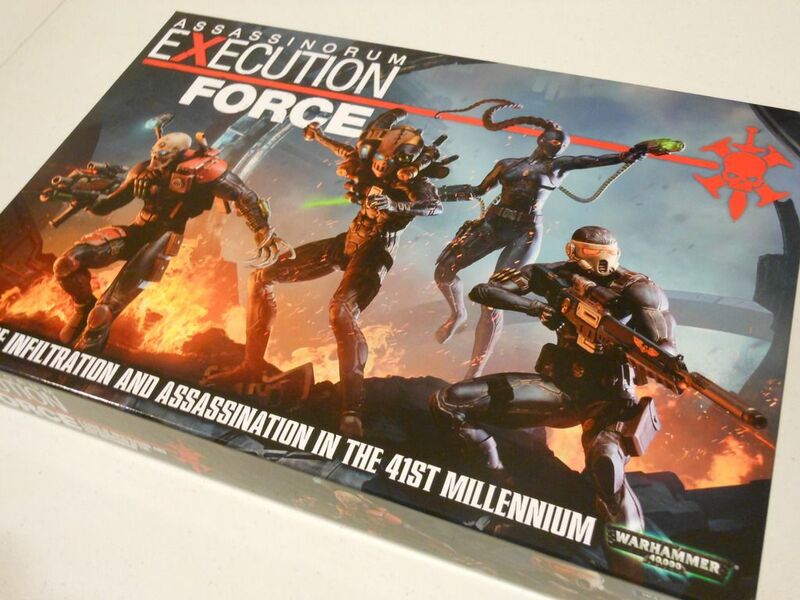 For a start, they released a little game called Assassinorum: Execution Force. An overpriced, limited edition game that nobody had asked for, and which apparently nobody bought. An overpriced, limited edition game that actually turned out to be really, really good. Fresh, innovative, perfect for solo gaming or co-operative play, with a setup and teardown time of minutes, and a convenient hour-long playing time. The guy on the right is overcompensating, I reckon. It instantly went into my regular rotation of solo games, and has seen plenty of table time in my house. Unfortunately, loads of people only bought it for the miniatures to use in the Warhammer 40K tabletop war game. But if it hadn't been for the £75 price, and the inclusion of only a single scenario, it could have been massive. And in a way, it was massive. Because it made me start believing again. It made me start thinking that Games Workshop were going to make a bit more of an effort to expand beyond the realms of their core tabletop war games. 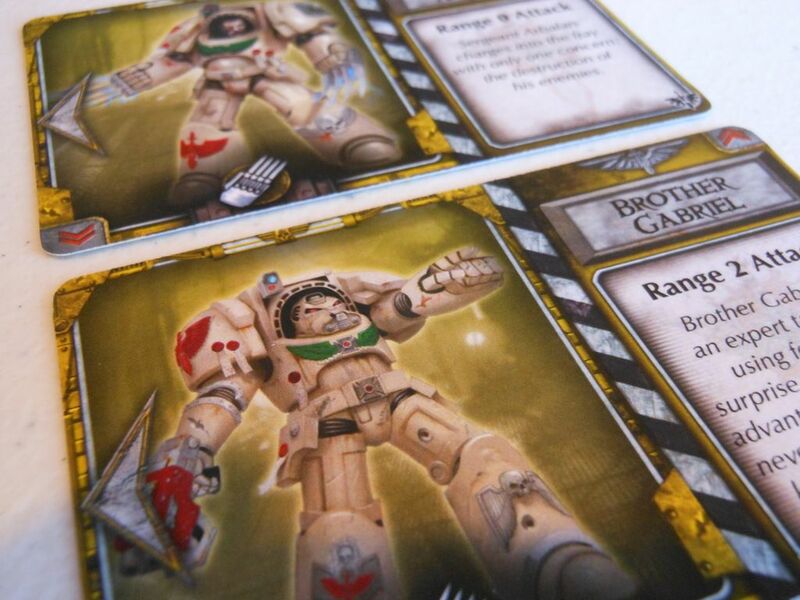 They released Betrayal at Calth, one of the most exciting releases of 2015. Sort of a mashup of Space Hulk and BattleLore, it allowed players to play through a series of firefights in underground catacombs where space marine turns on space marine with brutal consequences. Compared to the sprawling epicness of their tabletop games, Calth is more akin to a knife fight in a phone booth. It's also really expensive. And loads of people only bought it for the miniatures to use in the Horus Heresy tabletop war game. So, in the space of just a few months, Games Workshop launched two excellent games. The first one bundled with very desirable assassin miniatures that people wanted for a tabletop war game, and the second one bundled with 30K space marines, which are very desirable miniatures that people wanted for a tabletop war game. It's not exactly branching out. It's Games Workshop dipping its toe in the board game pool, while being reluctant to remove its towel. Falling back on the tried and trusted products for fear these new ventures might crumple under the weight of expectations. Things are afoot (except for Thing, from the Addams Family, which is a hand). 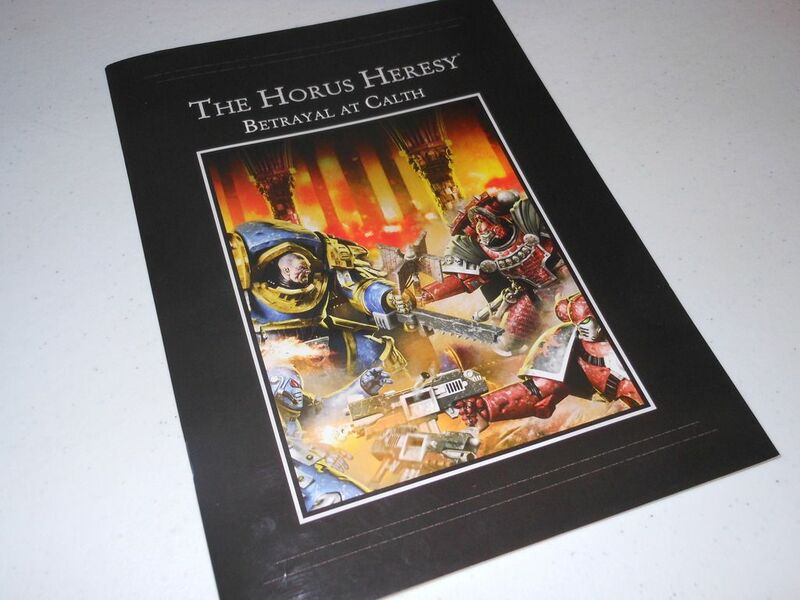 Shortly after Betrayal at Calth went on sale, an announcement leaked that Games Workshop was reinstating the specialist games line, and over an undefined period of time, intended to release some of their classic games. I was actually in a hospital when I saw the announcement, which is just as well, because I went a bit faint. Then Games Workshop started releasing additional content for games in their White Dwarf magazine. Not just content for Calth, but also for Assassinorum. New content to expand a limited edition game that I thought they had already given up (or had never really started) supporting. And then they made that content free to download on their website. 2015 was a great year from my point of view. But while I sit, patiently waiting for the announcement that Blood Bowl is coming back, I have turned my attention to some games produced under licence from Games Workshop. I have been spending a lot of time with the rather splendid Warhammer Quest: The Adventure Card Game, but more on that another day. For now, I want to talk about Deathwing. 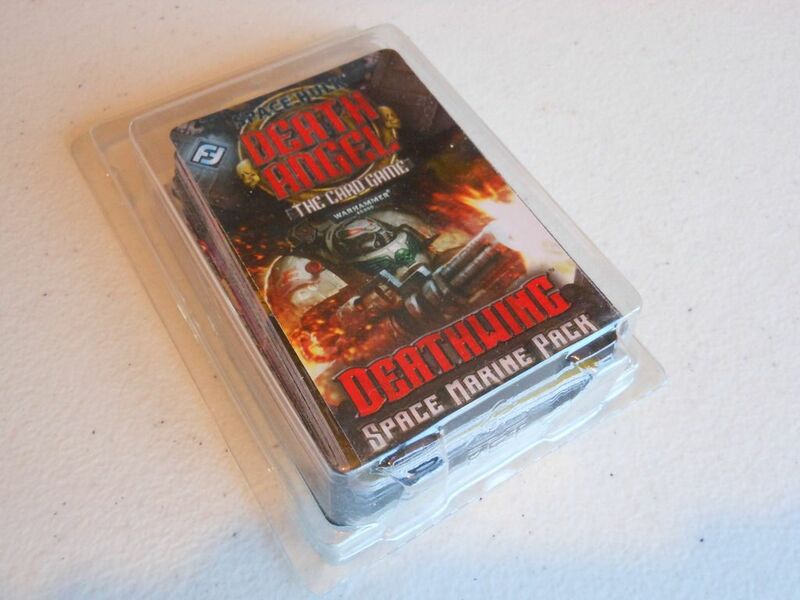 Deathwing is a small expansion for Space Hulk: Death Angel. Like the other expansions, which I have reviewed previously, it comes from Fantasy Flight Games' print on demand service, and comprises a small set of cards. 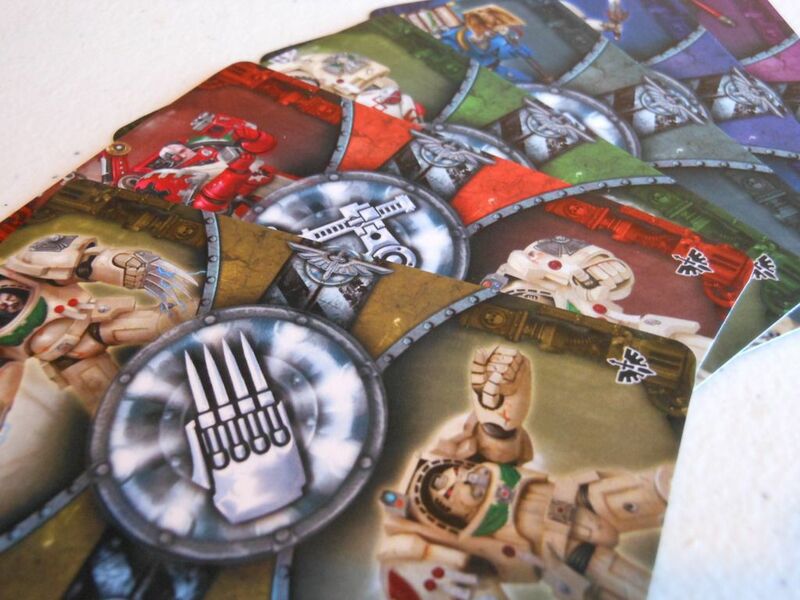 In this case, the cards reflect six new combat teams, each comprising two marines, and their associated action cards. To use the expansion, you take the six original combat teams from the base game (plus the combat teams from the Space Marine expansion, if you have it) and chuck them back in the box. Then, when selecting combat teams, you draw randomly from the new Deathwing set instead. Obviously, this expansion doesn't change the way in which the game plays. It just offers more variety, giving players the chance to explore new strategies once they feel they have the game licked using the original teams. Don't really like this expansion much though. For a start, there are some unusual art choices. The art on the character cards is just poor. I mean, art is art, and everyone has their own opinion. I am sure some people love the art. It's difficult to explain exactly why, but it sort of looks like artwork lifted out of an old computer game. It just seems a bit flat, lacking textures and dynamic shadows. And many of the poses look awkward, as if the marines are turning their legs at bizarre angles. Brother Gabriel has forgotten which hand his gun is in. 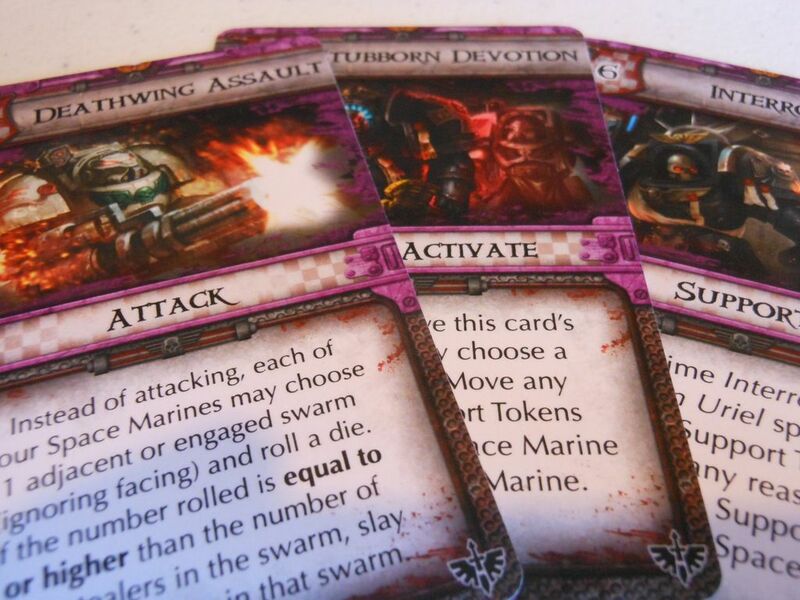 The art on the action cards is a bit better, but it don't half niggle me that one of the action cards for the team with twin lightning claws, and one of the action cards for the team with the chaplain, shows a marine firing an assault cannon. As always, it is worth noting that the cards are not the same quality as the cards in the base game. They lack the linen finish, and the pictures aren't quite as crisp; but that is a result of the print on demand production method. It doesn't have any impact on the game, and I actually like the way these cards shuffle so smoothly. But production gripes aside, it is the new options presented by these combat teams that make me think this is an expansion I probably could have lived without. The characters just seem incredibly strong. 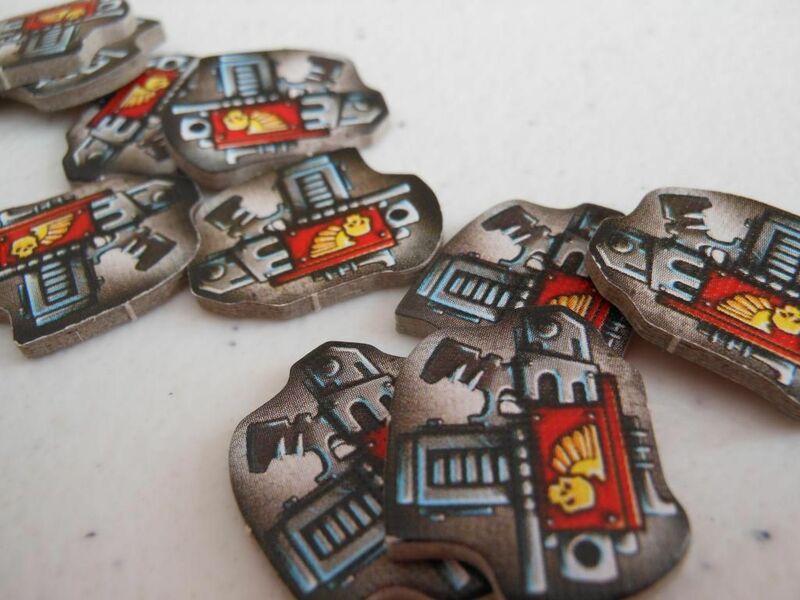 The chaplain's team lets you generate and move around support tokens with ease, and has an incredibly powerful attack capable of killing up to 10 genestealers (with lucky dice rolls). You don't even have to worry about which way your marines are facing. Stubborn devotion and an assault cannon... A winning combination. The librarian has the ability to kill up to five genestealers from anywhere in the formation, and can target a swarm so that every marine attacking that swarm gets a free reroll on attack. The sergeant with the power sword has an attack that doesn't exhaust if only one marine in the combat team attacks. In other words, if one of the marines in the team is dead, then the survivor gets to attack every single turn if he wants to. The servitor can activate terrain that he is one space away from, regardless of facing, which makes loading support tokens onto doors or activating control panels much easier; and he has the ability to discard support tokens for instant kills (tip: load him up with support tokens using the chaplain for absolutely no fun whatsoever). And then there is the apothecary team... It generates support tokens when it attacks, it has the potential to slay up to four genestealers when it moves, and the apothecary himself has a support action that gives him a 50% chance of preventing the death of adjacent marines if they lose a defence roll. Look, a rainbow. A rainbow of death. Death Angel is a difficult game. It beats the snot out of me regularly. It's supposed to be difficult. If you introduce the Mission Pack expansion, it gets even tougher. Throw in the Tyranids expansion and it is tougher still. But it's supposed to be tough. It says it right there on the back of the box: 44% chance of success, with 86% squad casualties. But maybe someone decided it was too tough. Maybe someone thought there should be an "easy" mode. Space Marine Pack 1 introduced new characters that I thought were really powerful and helped to level the playing field for people who wanted a slightly easier game; but Deathwing continues that trend to an extreme. Now, it could be that I'm wrong here. It could be that I just got lucky, or unlucky, or maybe I'm just finally getting better at this game; but each time I have used these new characters, I have felt the game lacks some tension. The decisions seem a bit easier. The genestealers seem less threatening. Facing starts to seem less important, because there are so many skills that allow you to ignore it. Support tokens seem much easier to acquire or allocate where necessary. Attacks seem more devastating. Okay, sometimes I still lose. Thematically, I like this expansion. I think there is a real sense of teamwork, with lots of abilities that allow different combat teams to set up interesting combos, and clever use of support tokens throughout. Guns don't kill people... A lack of support tokens does. If you have already mastered the Death Angel base game using the original marines, I wouldn't really recommend picking up Deathwing. Yes, you get some new marines to play with; but an easier game experience is probably going to disappoint anyone hoping to take their game to the next level. If you are going to use these new combat teams, then I suggest using them in conjunction with the Tyranid expansion, which provides tougher aliens and big boss fights. Of course, if you really struggle with Death Angel, and you want some additional firepower to improve your chances, then this could well be the best expansion for you. Blood Bowl is indeed coming back. Miniatures have been spotted in the wild. They are chunky. I am so excited about the return of specialist games I frequently have to breathe into paper bags. Can't wait to see what they do with Blood Bowl. Hiya, good post! Cheeky question, but I was wondering where you got hold of your Death Angel expansions from? I've been hoping to grab them and try them out myself, but some of them seem to be out of stock everywhere. Thanks for reading. I'm afraid I have had my expansions for some time, and they were all gifts, so I don't know exactly where they came from. Probably a UK-based online company. All of these expansions are print-on-demand, so I am surprised they are out of stock everywhere. Hopefully, Fantasy Flight Games are not considering binning them off, because that would be a real shame.